It wouldn't be a real pirate adventure if you couldn't deck out your character how you would personally like to do so. This is something that you not only can do in Sea of Thieves, but it's actually encouraged of you! By choosing exactly how you would like your pirate to look and exactly what you would like them to wear, you can personally customize their appearance to give your adventure a little more life, authenticity and individuality. And let's forget that other players will actually be able to see what your characters looks like while playing the game! You will begin the game with a basic set of clothing, but as you earn more and more gold form the Voyages you partake in with the Trading Companies, you can buy new articles and accessories from the General Clothing Merchant Shops. These stores have all different pieces of clothing for your to select from, including gloves, belts, shirts, jackets and more! What's even better is that each of the General Clothing Stores will have different selections from one Outpost to the next! On top of this, you will even be able to purchase specific articles of clothing associated with each the Gold Hoarders, Order of Souls and Merchant Alliance as you rise through the Reputation Ranks with each of them! 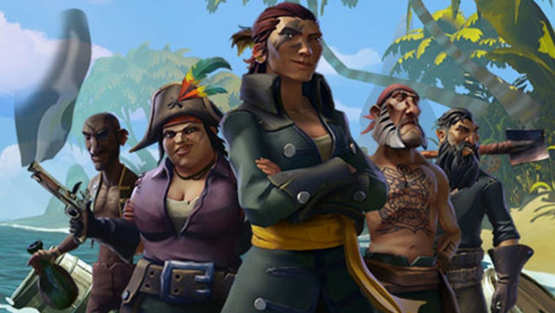 After doing the near impossible by reaching a Reputation Rank of Level 50 with each of the three main Trading Companies, you will instantly earn the right to the Pirate Legend Gear. One top of this, after solving the Pirate Legend Riddle and earning access to the Legendary Hideout, you will then be able to go on Voyages and purchase brand new ghostly articles of clothing and accessories from Athena's Fortune (the fourth and final Trading Company found within the game). You will even have to earn higher Reputation Ranks with this Trading Company to obtain some of the gear apart of Athena's Fortune!